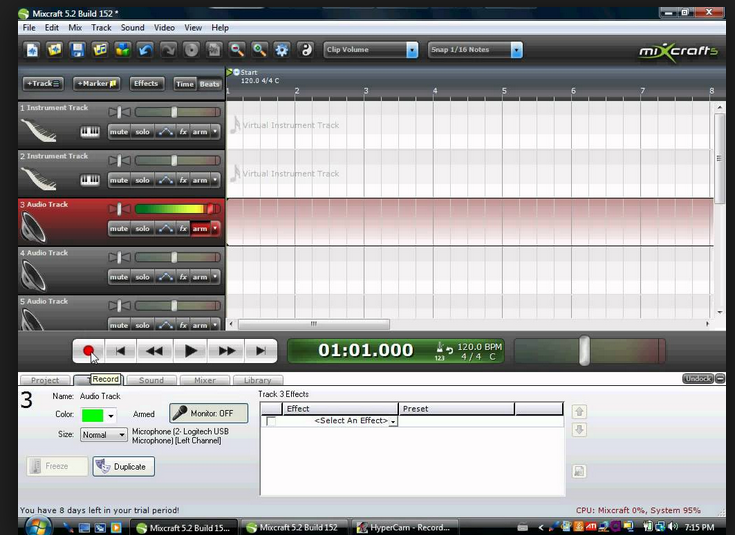 Open up the program called Acoustica Mixcraft 5 after watching the directions in this video. 1. Open a new project for building beat and loop matched songs. Drag and drop various sound loops from the sound library to create new music, make sure you add and remove loops of sound in 4 measure increments. Sounds should begin and end at the beginning of bar 1, 5, 9, 13, 17, 21,25, and 29. 2. Start a new project. 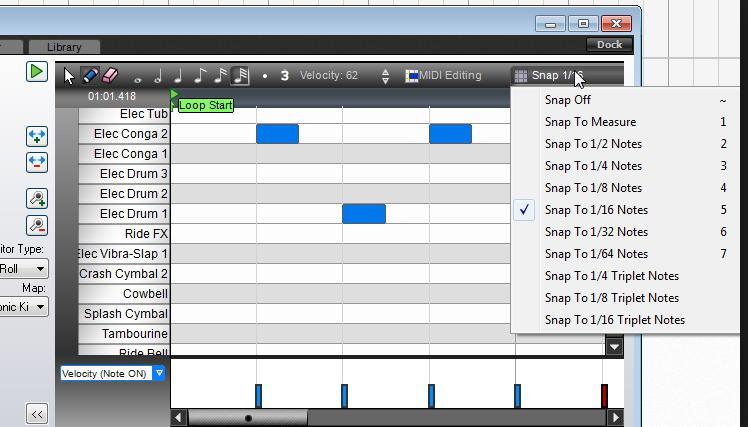 Use the loops to create a song in 4 measure units just like project 1. Add original notes by hooking in the MIDI keyboards to the right hand side of your Dell computer in the USB port. T determine the sound the keyboard makes, Click Track, then Add a Track, Then add and Instrument Track. Click on the small keyboard in the instrument track to get options for what the kieyboard sounds like. Select the big instrument group, and then the specific instrument. "ARM" the track and then click the red button to record. 3. Start a new project and record your own voice into Mixcraft. Select the Audio Track and click ARM. Click the red button to record your voice through the computer microphone and then manipulate the sound of your voice by changing the pitch. Copy and paste small chunks of your voice to make a new song. Use the measures grid to regulate your song, ask the computer to "snap to 1/4 notes " to get the sound to stay in a steady beat.